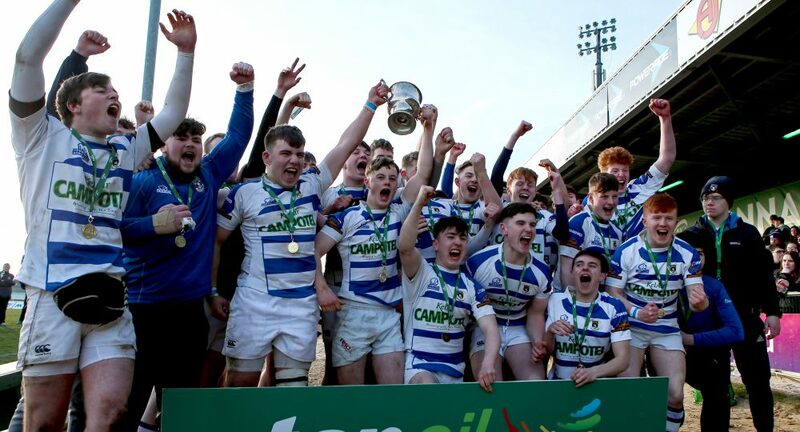 Garbally College are Top Oil Connacht Schools Senior Cup champions for the 46th time in their history and the first time since 2015 after outgunning Colaiste Iognaid of Galway city in the Sportsground. 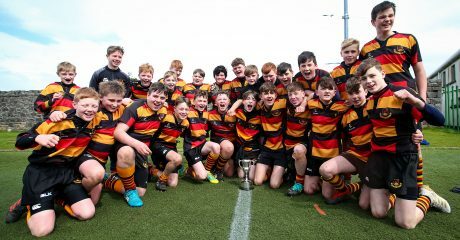 ‘The Jes’ as they are known were in search of a third successive Senior Cup win but Garbally were too strong and too clinical and duly took the title. The game began at a blistering pace with three tries scored in the first ten minutes. 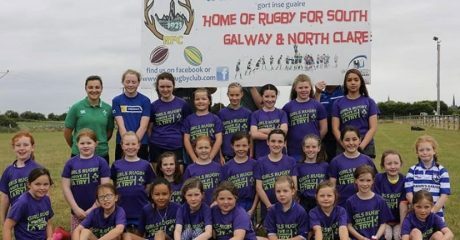 Garbally moved into a commanding early lead with two tries in as many minutes before the Jes had time to settle into the game. The first came after great work up the right wing from Stephen Mannion, who kicked and chased and showed real pace and control to keep the ball in play. His captain Oisin McCormack was in support to dive on the ball and open the scoring. The Athlone boys were over again moments later as scrum-half Colm Reilly found a sliver of daylight in midfield and burned away from the Jes defenders to score under the sticks. Cian Tracey’s conversion made it 12-nil after just eight minutes. The Jes badly needed to find their feet and out-half Cathal Forde was on hand to steady his team. He cut away from would-be Garbally tacklers to dive over, converting his own try to trim the gap to five. Garbally would hit straight back, however, with their third try on the 15 minute mark. 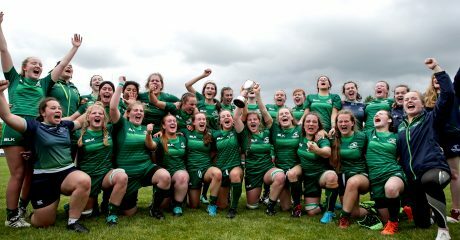 They were awarded a try outside the Jes ’22 from which Tracey slipped through Shane Jennings and the full-back pinned back his ears to cross beneath the posts. They were in for a fourth try on 23 minutes, taking advantage of some lax Jes defending in the set-piece. A line-out ten metres out was claimed in the air by the number 8 and co-captain Joseph Devine and his packed mauled him across for the score to leave it 24-7. Iognaid were showing plenty of ambition in attack despite the deficit and they trimmed the gap back with a second try from Forde on the half-hour mark. Adam Cunningham fizzed a pass wide left and Forde cut back to finish, adding his own conversion for good measure. But just as the Jes looked to be gaining a foothold, Garbally struck for a fifth try of the half. Again it came from the set-piece, as a scrum in midfield set the platform for Mannion to go over in the right corner. He assumed responsibility for the conversion himself and measured the kick to perfection to leave it 31-14 to Garbally at the break. The Jes needed a strong start to the second half to have any real chance of closing the gap and they began accordingly, driving deep into Garbally territory and setting up shop. A series of penalties and scrums eventually paid off as Gary Keane went over with Niall Hanahoe on his shoulder. Just as they had in the first period though, Garbally were able to respond to the concession of a try at one end with the scoring of one at the other, Mannion going over for his second try after fast ball off the scrum. Tracey’s nailed the conversion to make it 38-21. The Jes continued to fight and Julius Byrne was in for their fourth try on 50 minutes. But again Garbally hit back, substitute Cathal Dolan bundling over after a terrific steal at the lineout from the Garbally pack for what proved the last score of the game. GARBALLY: Shane Jennings, Stephen Mannion, Saul O’Carroll, Colm O’Brien, Sean Horkan, Cian Tracey, Colm Reilly; Jamie Curley, Odhran Dooley, Seamus Egan, Matthew Comerford, Stephen Grenham, Patrick Grehan, Oisin McCormack, Joseph Devine. Replacements: Cathal Dolan (for Dooley 46), Nathan Horan (for Horkan 55), Padraig Galvin (for Comerford 71), Barry Codyre (for Tracey 75), Keoma O’Connor (for Grehan 75), John Coughlan (for Jennings 76). 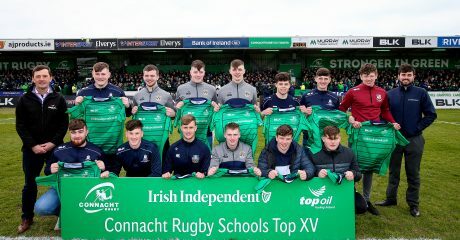 IOGNAID: Adam Cunningham, Conor Briscoe, Julius Byrne, Jack Power, Jack Grealish, Cathal Forde, Evan Kenny, Patrick Smyth, Tomas de Paor, Gary Keane, Aaron Mannion, Rory O’Connor, Jake Gallagher, Dara Leneghan, Niall Hanahoe. Replacements: Tomas Gillanders (for de Paor 53), Rory O’Flynn (for Briscoe 64), Jack Madden (for Smyth 64), Lloyd Solan (for Byrne 67), Ralph Solan (for Mannion 69).